Hi everyone! I have a few new Illyrian Polishes to share with you this afternoon. These three make up the A Fairy Tale Come True Collection, Part One and were first made available last week. 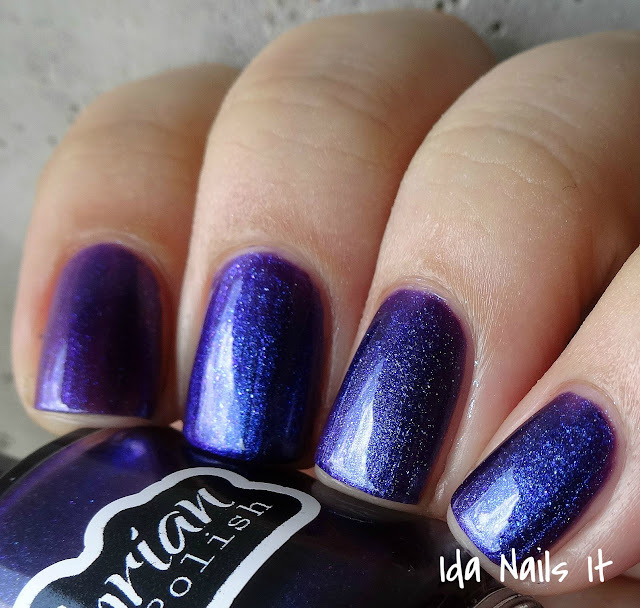 They are out of stock at the moment but Illyrian Polish will be doing a restock next week, so you will have a chance to get these, along with older stock. Follow Illyrian Polish on Instagram, she will be posting more info as to what will be restocked closer toward that date, which will be August 1st, at 1 pm CST in her shop here. The green pops aganist the blue base and I love seeing that subtle purple shimmer. 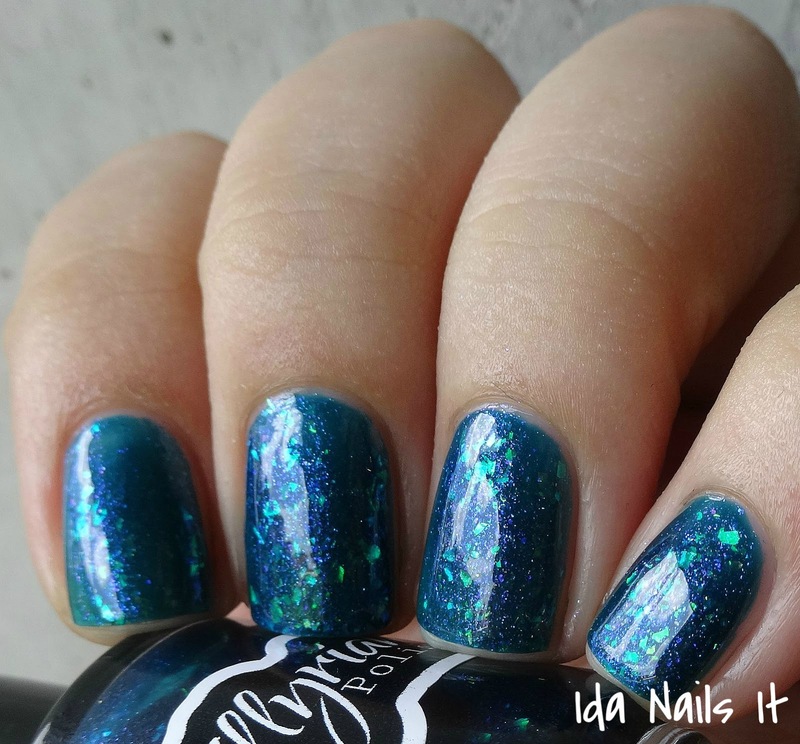 You will need to build to opacity with that teal colored base, three coats is a minimum, especially with stained nails like mine. But it's not too thick, so you should not have problems with doing three coats. Clear base with silver holo micro-glitter and flakes, blue iridescent micro-glitter and flakes and sterling silver flakes. Oh yeah, this is my kind of polish! 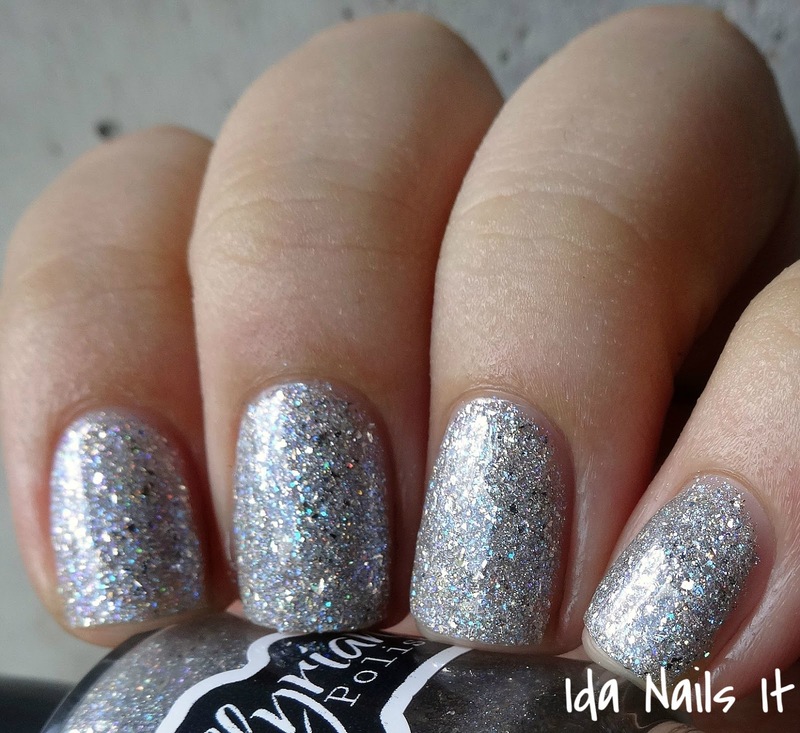 Holo micro-glitter anything is awesome but silver is always a striking color. 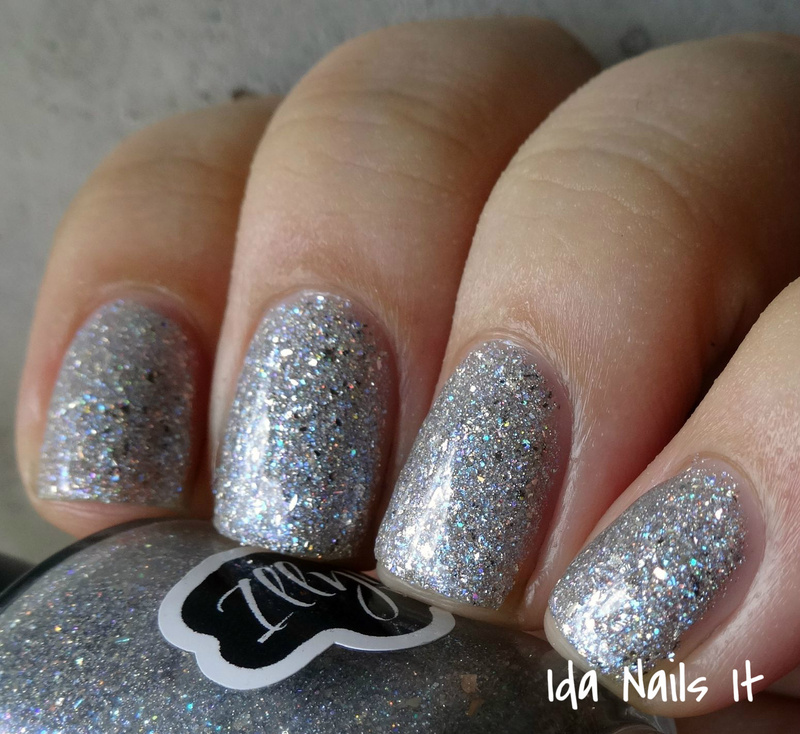 It is packed with all those flakes and glitter, making sure you have opaque coverage but it also leaves it thicker than the other two polishes. Not unmanageable, I do recommend waiting longer between coats so to prevent dragging. These glowy polishes, they are so hard to accurately capture in photos and I know I am not doing this one justice. 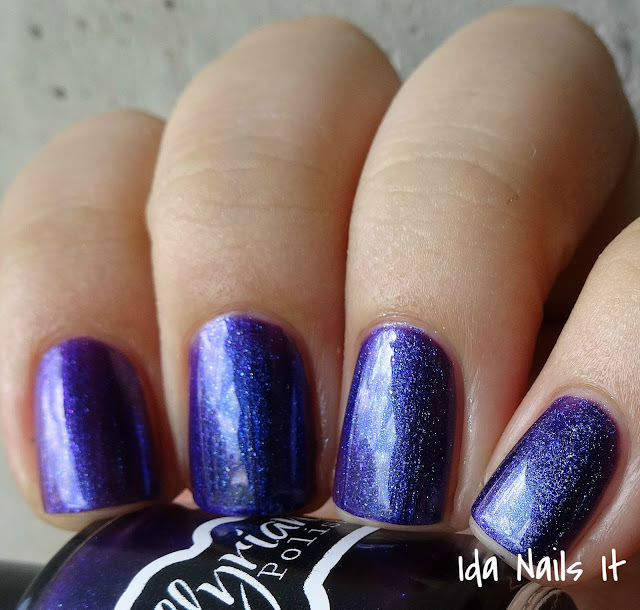 It is a shimmer heavy polish and is perfect for all those blurple lovers out there. No issues to speak of with application, two coats for complete coverage.